← What use is the Rafale and the French connection? There has been some public handwringing over the unit cost of the Tejas LCA. Most of it motivated, from the same quarters that had repeatedly doubted whether the aircraft would be other than a paper plane and, as the project progressed and began passing technical milestones, whether it would ever match up to specs and, when it began proving its druthers as a fighting platform, whether it would ever be an operationally fit aircraft — recall the then CAS ACM PV Naik’s contemptuous dismissal of this home-grown fighter not that many years ago as “a three-legged cheetah”? — to now when there’s little doubt about the warplane’s bonafides — as it is a damn good combat aircraft that can give any import a run for India’s money. So these import-lovers and skeptics are toggling at the comparative cost angle, per chance, to derail any which way the LCA-variants-AMCA procurement programme, and get the IAF back to the good old way of doing business — buying aircraft abroad. A recent Indian Express story (June 27) on the topic revealed that HAL charges Rs 463 crore for the Tejas Mk-1A versus Rs 363 crore for the original LCA, and Rs 415 crore for the Su-30MKI built at Nashik (compared to Rs 330 crore if sourced from Russia). The figures for foreign aircraft on offer are Rs 544 crore for the Swedish Gripen, and Rs 380 crore for the US’ F-16 Block 70. And one can be certain that once the race hots up the Sukhoi Bureau will bring the costs of the Su-35 also in the race, below that of any of these aircraft. So, where’s this cost-based argument headed? You guessed it — right up Saab’s, Lockheed Martin’s, Sukhoi’s and, now that the race has been thrown open to all comers and not restricted to single engine aircraft, Dassault’s, doors (for additional French Rafale). Rs 463 figure seems inflated, but won’t quibble over the numbers in this post. This is high. But why? Ever since erstwhile defence minister Manohar Parrikar rightly decreed that HAL would, like Boeing, Lockheed, EADS, Saab, and Dassault, be the prime integrator for the Tejas and not its manufacturer, the work along with the production modules were transferred to various private sector entities. Thus, the LCA’s composite wing structure and assembly is done by L&T at its plant in Coimbatore, VEM Hyderabad, outputs the fuselage, Tata Advanced Materials is responsible for the fin and rudder assembly, and so on. This is a wonderful production schemata and the reason why I have been advocating that ADA also transfer the know-why — the source codes of the Tejas, the operational algorithms et al to competent private sector companies so that they can begin designing combat and other aircraft, and right now open whole new Tejas production lines — in addition to the two at HAL, so the LCA can be mass produced for accelerated induction into the IAF. The fact that Tejas are not coming out fast enough out of the factories is used to argue for importing planes to meet “urgent” needs. With many companies producing the Tejas and its follow-on variants and the successor 5th gen fighter plane, AMCA, for the IAF and for exports, it will ensure economies of scale, bring down the unit price, and send the Indian defence industry as a whole rocketing. But what is at issue presently is the price that HAL charges the IAF for each Tejas. Here HAL resorts to its standard pricing trick to ensure that it makes “profit” and maintains a healthy financial bottom line, and keeps in check those in and out of government baying for privatizing loss-making DPSUs. Like the other ‘nav ratna’ DPSUs, HAL adds 30% to the price charged by the private company for the out-sourced work. To the cost and profit charged by each of the firms with the Tejas production modules, HAL adds 30%. So the price escalates. MOD can challenge this rentier attitude of the HAL and cap HAL’s margins at 5%-10% on the total cost of the Tejas and bar this DPSU from marking-up the cost by 30% for each of the aircraft’s major assemblies — the reason why HAL is staying financially afloat considering it is not cost-competitive with the private sector defence industrial firms. If this is done — and HAL’s margin thus contained then, voila!, you have a price that no imported aircraft can ever match, and why the Tejas can be a runaway bestseller in the developing world that desires an economical but advanced fighter plane, and which is being taken to the cleaners as India has been and still is, by foreign aviation companies. What chance that the 5%-10% recommendation as maximum overall HAL margin is accepted by the MOD committee that’s been set up to scrutinize the Tejas price line and suggest ways of paring it? Zero. Because such extortionist costing schemes are at the heart of the effort to keep alive the DPSU sector and is supported by the department of defence production in MOD — the guardian of the DPSU interests. This department doesn’t care what’s good for the country, it cares only about its remit which is to ensure, by any and all means, that the DPSUs and OFB keep their heads above water, to the detriment of economic good sense and the national interest. So, now you know why the price tag for the Tejas is Rs 463 crore. This entry was posted in arms exports, asia-Pacific/Indo-Pacific, Asian geopolitics, Decision-making, Defence Industry, DRDO, Geopolitics, Great Power imperatives, India's strategic thinking and policy, Indian Air Force, Indian ecobomic situation, Military Acquisitions, Military/military advice, society, South Asia, Technology transfer, Weapons. Bookmark the permalink. HAL despite its privatization is still a govt. company. It is merely a case of taking from one pocket and putting it in the other. Off course one can colour it green or saffron but that won’t change the facts on the ground. If the IAF and MOD were so concerned about their value-for-money then let them ask for more R&D expenditure by HAL from internal accruals, for the same 30% margin. Sorry, but capping profits, is falling to the bait. Prof. how realistic is the export potential of Tejas MK1,MK1a or MK2 with uncle SAM’s engines? Wouldn’t it be Brahmos all over again, wherein we are at Russia’s mercy for RAMJETS? And also if you want to export any indigenous product you need to have the defence minister to be strong and bold with ‘political resolve and national interest’ like hard steal. But unfortunately, Nirmala Sitaraman is a person who will not stand up against Arun Jaitley. That’s the reason why she is the defence minister and not any other senior member of party. But Arun Jaitley is not thinking realistically, he is simply cutting down funds for R&D by stating the reason, – to control fiscal deficit and other technicalities. It is just like a irrational doctor saying that the best way to bring down the patient’s body temperature is to kill the patient. Jaitley is forgetting the fact that India can become an exporting economy rather than importing economy. He is forgetting that we can fix the foreign exchange problem, He is forgetting that it can create thousands of jobs. Most importantly he (along with Sitaraman – with her famous statement of “Cant force the armed forces to purchase indigenous goods”) is forgetting the situation in Kargil where many countries refussed to give ammunitions and even though they did the price was nearly 6 to 7 times the usual price tag. I even heard from my cousin who work in govt that OROP and other ex service men was on fast track only till Manohar Parrikar was the defence minister but now there is hardly any progress on it (pensions and others). All the bad notices notwithstanding, Kaveri is not THAT far off! Do not Know what is going on and why a country of this size cannot put in more projectS to make more powerfull engineS beyond/besides just Kaveri. Many more private companies(Independent-R&D or R&D-and-JV) should be asked and given grants to build engineS of more power than Kaveri. Many will fail but enough/some will succeed. The country should not import or ask others to make(planes) what it can do it self. The country should put in effort(including importing talent) for things it has some difficulty doing. So R&D/JVs to make more engines by more groups should be the focus. WRT Kaveri, in April a defense commentator,who is right most times,wrote that the 6 main design issues that held up Kaveri engine development have mostly been solved,either in house or with foreign help.One of the main issues was a mysterious screech that was emitted when the engine was wound up to full power that too has been resolved.Also the technology involved is single crystal blade since DMRL has already developed 2nd gen SCB tech some years back,though not advertised much.So the Kaveri engine project is moving. Now the prototype build up and flight test regimen on GTREs testbed and the flying testbed(probably in Russia)will take place.After this the engine will have to be certified by the concerned military agency for a number of flight tests on the Tejas.The timeline for this process is till Aero India 2019. So far so good but the problem is that currently Kaveri is rated to be a 80 to 85 KN wet thrust engine,which is in the same range as the GE F404IN20,(84KN wet thrust)engine currently being used on the Tejas mark 1 but the GE F414IN that will be used on the Tejas mark 2 is rated at 98KN wet thrust. For Kaveri to achieve this almost 20% increase in thrust, while retaining the current dimensions require the compressor and turbine sizes be of the same dimensions ,the only way this can be achieved is by having an engine core that can withstand much higher temperatures. This means that the Kaveri core i.e Kabini ,will need to be recast with next generation titanium alloys the technology for which only a select few countries possess.This is where everyone is hoping that Safran will deliver as part of the Rafale off sets and transfer the M88 core for the Kaveri or the technology for next gen alloys.But going by past precedent this seems like wishful thinking. Out of curiosity.. why did they not design the LCA around Russian engines such as Klimov RD-33 and Saturn AL-31 or a French one such as Snecma M88? Wouldn’t use of non-american engines have been helpful in developing the LCA much faster and keeping cost down? Also, reverse-engineering the Russian engines (like China has done) was have been easier than building one from scratch. Secondly, what was behind their weird obsession with keeping it small and ‘light’? Yes.. I am aware that the LCA was conceived as a point defense fighter. However, as any person who has read the history of military aircraft development knows, successful air-superiority fighter aircraft inevitably end up taking on additional roles resulting in future size and weight increases (as well as power plant upgrades). Were they that green or just maliciously incompetent? I also wonder why they did not try designing and building a few dozen advanced supersonic trainers (LCA-lites) in the 1990s before finalizing the LCA design. They could have easily used such ‘LCA-lites’ as counter-insurgency/ ground attack aircraft in case anyone here thinks that would have been a waste of money. Is there any functional organisational meta-structure for properly developing and integrating R&D and indigenous products into the armed forces? @AD please do check my reply to a comment of yours in the “What use is the Rafale and the French connection?” blog. @Vishnugupt See my reply to that reply. In this age of crony capitalism in India and world you expect Defence unit to take a profit of only 10 percent when the us/ uk parasites make do with 100 percent profit ? Jetley did not even win a seat in election in modi wave and still modi has kept that disgusting punjabi as finance minister for 4 years ! Jetley is a dalal and not a politician who deals with people. He must be tried for treachery. Modi believes in keeping his enemies (read Jaitley,Sushma,Rajnath) closer than his friends. Jaitley has been a political counselor to Modi at the national level, and has shown him a lot about Delhi’s political culture. Sushma is just a noise pot. If she wasn’t surfing the gender representation/tokenism, she’d be out on the margins. “Definitely Gagan Shakti Exercise was a turning point for the squadron. The platform did exactly and more of what it was expected to do as a contemporary fighter. We are beginning a new era from July 1 from AFS Sulur, though we are not celebrating yet as we want more fighters to fly out of the HAL hangars and join the squadron at the earliest,” he added. Seems like the men who fly the Tejas in squadron service are totally satisfied with its performance,same as the test pilots who loved this bird from the word go,even though they only have the IOC configured iteration.Tejas mark 1A with its AESA radar and other add ons should be an even better fighter jet.Its only the higher echelons of the IAF hierarchy,wether in service or retired,that seem to be critical of the Tejas due to some idiotic reason or the other. 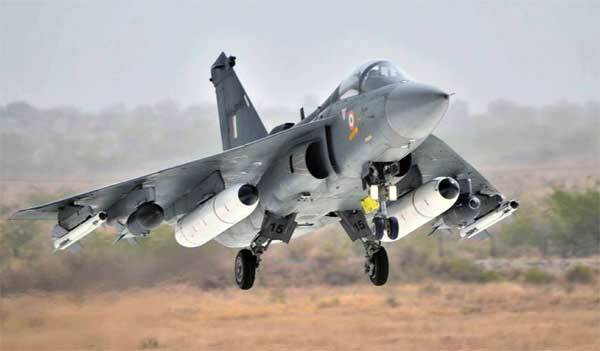 Regarding the reported high cost of Tejas Mark 1A at Rs.463 crores each,the final flyaway cost will include numerous expensively tweaked and imported components, to meet IAF requirements. These are reported to account for a large percentage of each jet, and add more than $45m to the forecast flyaway cost of every Mk1A, they include: GE F404 Engine ($6m), Elta 2052 AESA Radar ($18.5m), Elisra / Elbit jamming module, Elbit helmet mounted display, Martin-Baker Ejection seat ($250k), Cobham refueling pod & nose cone, Moog actuators, … all adding up to help explain the reported ~ flyaway cost. Which is not too dissimilar to the off the shelf Western Light fighters available on the market. “The Tejas has everything a modern fighter needs to have and we are happy with this flying machine. It is a smart and intelligent platform which would listen to you and even talk back to you. For a fighter pilot, Tejas is a delight and I am happy to lead the boys,” says Gp Capt Dhankhar. Sir can bramhos armed sukhoi so will be enough to destroy completely chinese aircraft carrier and it’s naval fleets in future conflicts in Indian ocean or we need seriously 2-3 nuclear attack submarines to do the job. If the military complex had its way, they would buy the Zircon from Russia instead of pursuing the Brahmos 2. Sir but we still need to function on our own ramjet engine technology ,don’t you think ? What are the best options left for India? Trump has launched full scale trade war on China.This is just the beginning !!!! Well what difference will it make for Govt of India if it pays double the price to HAL anyway?. Tejas can be modified anyway since we have the source code and flight laws or anything which we want. We can even recycle this plane and use it for building newer once in future. Apparently, you are unaware of my writings. Please bring yourself up to speed. Have long advocated DRDO/NAL/ADA TOT-ing source codes and all to private sector firms for them to set up several Tejas production lines to compete with HAL. Such competition will mean better quality product and the means quickly to address the problem of depleting sqdn strength IAF keeps complaining about.